We have a couple of new additions at our place. 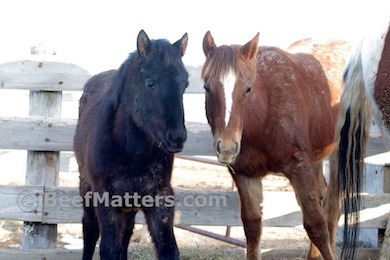 Two roan colts. Every winter we look through the colts while they are still on the mares. We are looking for the colts we want to add to our own string. My husband, father in law, and oldest son spent a lot of time looking at these colts. This is always a fun time and something we look forward to each year, but this year was special because for the first time my son was allowed to select a colt for himself. 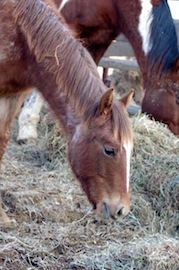 It’s always exciting to picture what the colts will be like when they are fully grown. It just adds a whole new level of fun to watch a ten year old boy select his first colt. 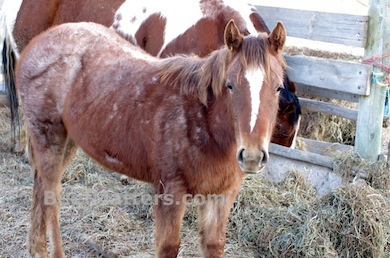 And the red roan? Well, we thought she was just too cute to leave behind. Plus, she loves having her picture taken!